Blue Bell Creameries has issued yet another recall. This time, the recall has been expanded to include all of its products manufactured in all of its facilities. The voluntary recall comes after expanded testing of its product line. The new tests revealed the Listeria bacteria in one of its half-gallon containers of Chocolate Chip Cookie Dough ice cream. The contaminated ice cream was manufactured between March 17 and March 27 of this year. The test results indicate that Blue Bell has had contamination problems in multiple product lines from multiple manufacturing facilities. This has resulted in the voluntary effort to recall all of its products. The recall applies to all products currently on the market, and those made at all of its facilities. The recall covers ice cream, frozen yogurt, sherbet and frozen snacks. The Listeria monocytogenes is an organism which can cause serious and sometimes fatal infections in young children, those who are frail or elderly, and those with weakened immune systems. Although healthy individuals may suffer only short-term symptoms such as high fever, severe headaches, stiffness, nausea, abdominal pain and diarrhea, Listeria infection can cause miscarriages and stillbirths among pregnant women. Going forward, Blue Bell is implementing a procedure called “test and hold” for all of its products. This will involve complete testing of products. Products will be held prior to shipment until all tests show that the products are safe. 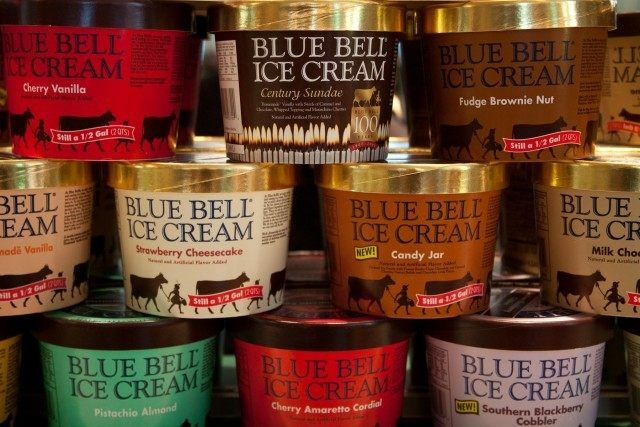 The facility in Broken Arrow, Oklahoma, will remained closed while Blue Bell continues its investigation. The Brenham, Texas, based company expects to resume distribution on a limited basis in the near future. The statement urges Blue Bell consumers who have purchased these items to return them to the place of purchase for a full refund. For more information, consumers with questions may call 1-866-608-3940, Monday – Friday, 8 a.m. – 8 p.m., and Saturday 10 a.m. – 2 p.m. CST. They can also go to the company’s website at www.bluebell.com.